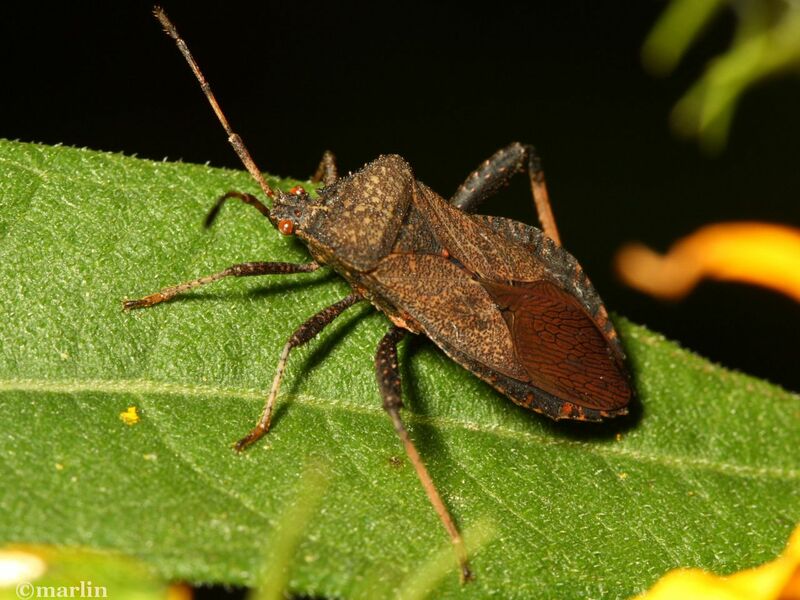 The Hemiptera family Coreidae includes leaf-footed bugs, clown bugs, and squash bugs. A few species are commonly called tip-wilters, since their feeding activities cause the tips of plant stems to perish. 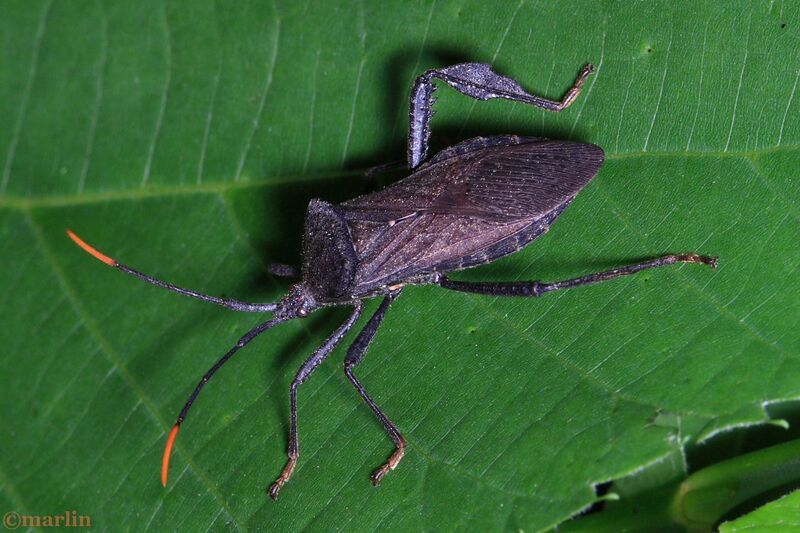 Leaf-footed bugs take their common name from leaf-shaped expansions of the hind tibia and femora. They have four-segmented antennae, large compound eyes and one pair of ocelli, or simple eyes. 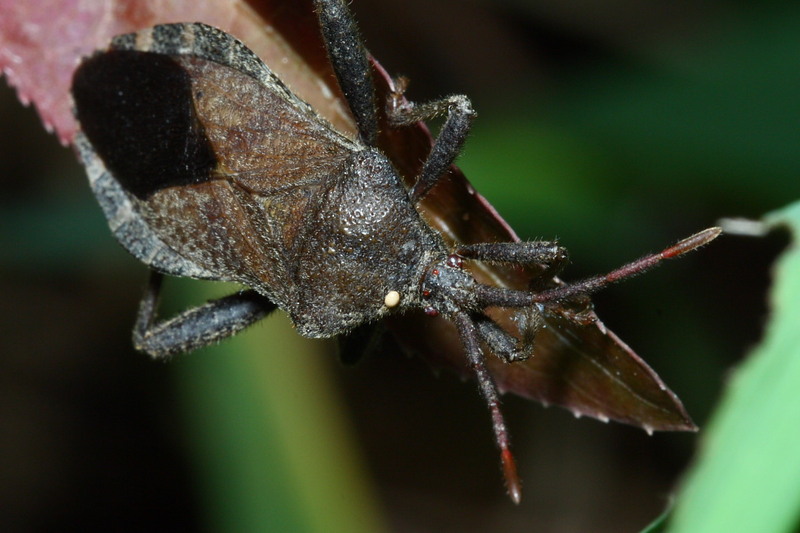 Life Cycle: Like all Hemiptera, leaf-footed bugs go through a simple metamorphosis with egg, nymph, and adult stages. 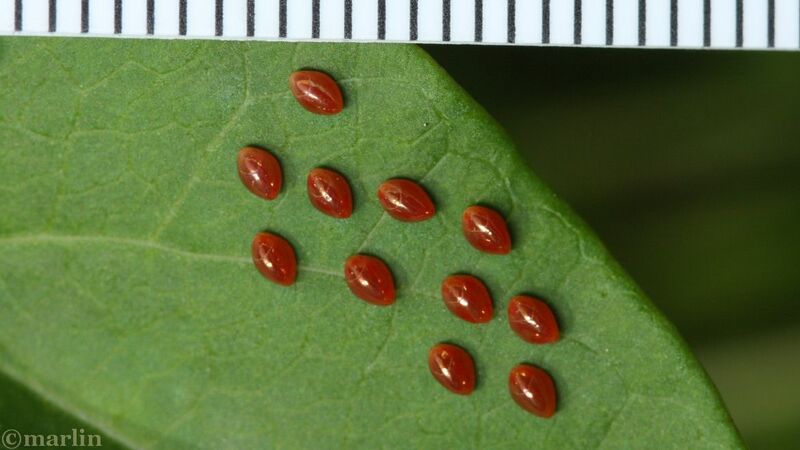 Females of most species lay eggs during warm months. The eggs are often stuck to leaves or branches, or hidden under bark, depending on the species. 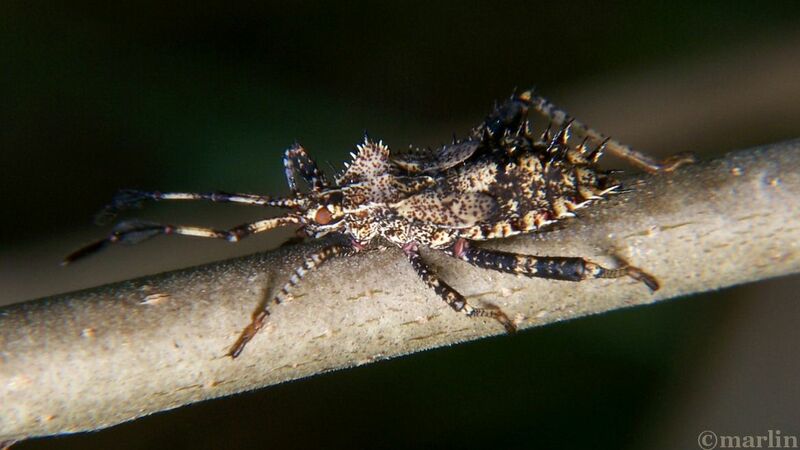 After hatching, the wingless nymphs molt several times before becoming full-sized, winged adults. The adults will mate and reproduce numerous times during the growing season. Kenn Kaufman and Eric R. Eaton, Kaufman Field Guide to Insects of North America, 1st ed. Les Line, The Audubon Society Book of Insects (Harry N Abrams, 1983).